uBlock Origin, the popular "wide-spectrum blocker" that stops ads and more is now available for Microsoft Edge. There aren’t a ton of extensions available for Windows 10's Edge browser yet as Microsoft's maintained tight control over the ecosystem, making it something of an event when a new big name add-on shows up. 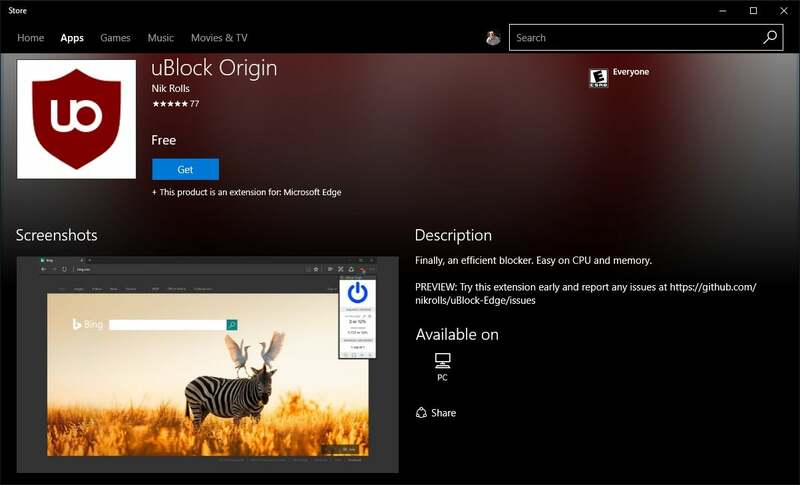 Over the weekend, New Zealand-based developer Nik Rolls announced his port of uBlock Origin (Preview) was now available as a preview in the Windows Store. If you’re not familiar with uBlock Origin it is a self-styled “wide-spectrum blocker.” It doesn’t just block ads but also tracking mechanisms and known malware sites. While this version of uBlock Origin was not created by the original team behind the browser extension it is still the real deal. Raymond Hill, the person behind uBlock Origin for Chromium and Firefox, created the extension as an open source project meaning anyone can grab the code and hack on it. uBlock Origin in the Windows Store. That’s exactly what Rolls did. He says that about 95 percent of the code in uBlock Origin for Edge is the same code that runs the Chrome and Firefox builds. The main difference is that uBlock Origin for Edge is designed—funnily enough—to interact with Edge. The core code that includes the user interface, settings, filtering, and blocking is pretty much the same as you’d get on Chrome and Firefox. If that explanation still doesn’t convince you, note that the original uBlock Origin project lists Roll’s Edge version on the official extension’s project page. Rolls began uBlock Origin for Edge about five months ago and was able to get the extension functional in about an hour. He then began iterating that original version over the next few months until Microsoft got in touch around September. From the sounds of it, Rolls worked with Microsoft to iron out some major glitches and get the extension in shape for a Windows Store release. The impact on you at home: Even though it’s available on the Windows Store there are still a few issues with the extension (check them out on GitHub), hence the “preview” label. One notable problem is that clicking an external link in Gmail opens a blank tab and the Gmail tab crashes. For now, that’s nothing a copy and paste of external links can’t cure. 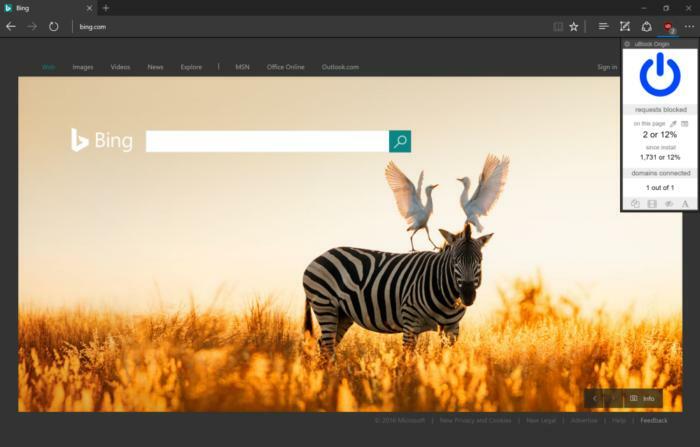 The extension also can’t block ads on Bing web searches. Go figure. If you want to give uBlock Origin for Edge a try click on the link at the top of this post to open its page in the Windows Store. At this writing, uBlock Origin did not turn up in Store searches.